The following product (*SwimSeal) I will be reviewing was sent to me to review. My ears can be troublesome for me, mostly because the hearing in my left early is slowly disappearing and I have a bone growth inside of it, I did have it removed when I was 13 but it grew back over time. Every 3-4 months I have to get it cleaned because if I don't I can end up with ear infections, I have to try and keep it dry especially when washing my hair because the water that gets trapped is hard to get our due to the bone growth being in the way. I know a lot of people might find that gross but I have what's called a surfers ear, it's typically found in people who surf, they develop growths inside their ear where it is left wet and cold and usually the best plan of action is either having them removed with a chance of them coming back like mine did or getting your ear manually cleaned by a nurse. I find the procedure very painful as the growth can be very sensitive, the suction which is used is very loud and once the procedure is done I'm usually left with a bad earache. 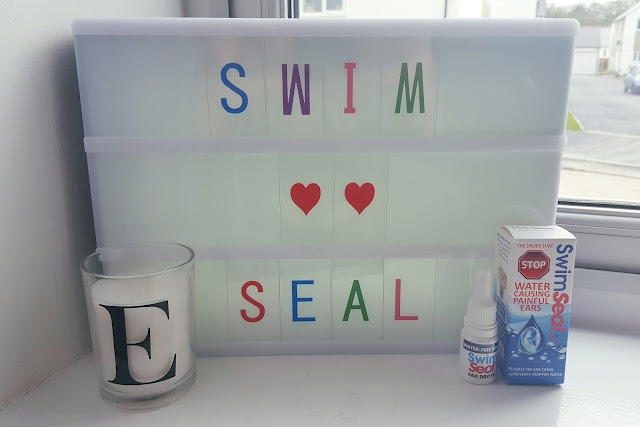 I have the option of using ear plugs whilst I bath or some people put blue tac in their ears instead, I hate having things inside my ears and I try my best to go without and not get water in my ears but it's pretty impossible, luckily I was sent protective ear drops by swim seal to try out. These ear drops are suitable for bathing, showering, swimming or diving, I don't go swimming because I'm terrified I will faint in the water due to my NCS but these are perfect for when I bath and wash my hair. 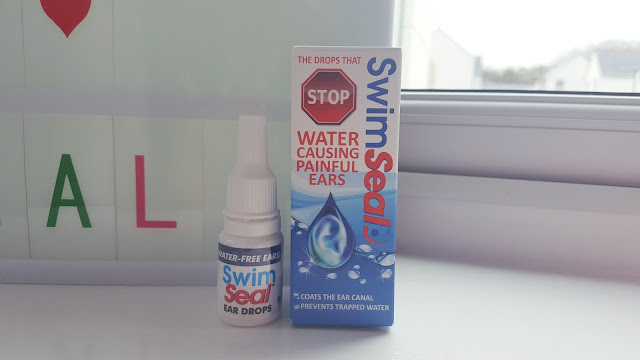 SwimSeal ear drops are made from a unique prevention solution that was developed by ENT (Ear, Nose and Throat specialists), they create a waterproof coating in the ear canal. When using these drops you're meant to put 2-3 drops of the solution in both of your ears then wait 2 hours and reapply the drops to complete the protection to your canal. The drops act like an earwax to protect the inside of the ear canal, it won't build up inside your ear and contains tea tree oil which helps protect the ear canal from infections as it acts as a natural antibacterial agent. Whenever I go to get my ears cleaned my nurse tells me that there is a high amount of people that come into the ENT department to get their ears sorted due to water being trapped, it made me feel a little better about developing surfers ear. It can be expensive for the NHS to treat patients with issues that developed because of water in the ear so not only does it benefit you to protect your ears with products such as SwimSeal but it also helps keeps the costs of treatment down. This does come at a higher price of £8.19 but it's better than a lifetime of issues. It's available at a number of shops which include Boots, I would say they're worth the price considering how well they do protect the inside of your ear. Since using this product it has helped me a lot, I did a test when I first used it where I used the solution in the left ear but didn't put any in the right ear just so I could see how well it does coat my inner ear. I'm happy to say you can notice the difference, my right ear was waterlogged whereas my left ear has no water trapped inside it at all. Since then, I have been putting these drops in my ear each time I was my hair and I've found that I haven't been getting the horrid earaches I normally get after I wash my hair. I don't have an appointment to get my ears cleaned out until May but I'm hoping my nurse will see a big improvement in my ears by then. 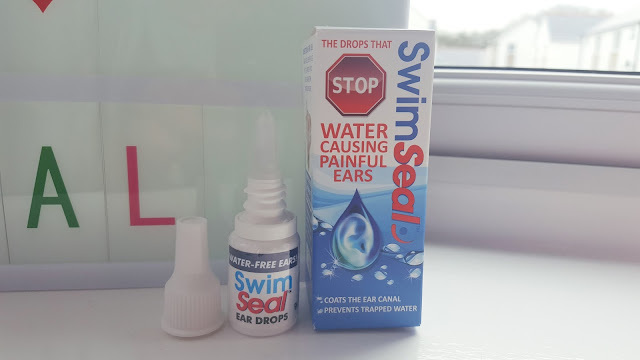 If you want to have more information on these ear drops click HERE to view SwimSeal's faq page, I highly recommend these drops especially if you go swimming with your little one. Disclaimer: I was sent this product to review and have given my honest thoughts on them, all opinions are mine and mine alone. I do NOT work in the medical field and any info given about this product was either my own opinion or taken from their website. For more information on my disclaimer, please read the contact & disclaimer. What Genre Games do I like?